MELBOURNE – Oct. 13, 2016 – For the first time ever, PAX Aus will feature a dedicated VR Freeplay Area, where attendees will have the opportunity to experience the latest virtual-reality games and technology. The VR Freeplay Area, sponsored by Harvey Norman Games Hub, will let people get hands on with the latest in VR hardware, with dedicated HTC VIVE playable areas that will also include some green-screen VR setups and Omni treadmills, as well as Oculus Rift and PlayStation VR. The PAX Aus 2016 VR Freeplay Area can be found in a large, 234 square metre space located on level 2 of the Melbourne Convention and Exhibition Centre. Hundreds of other video and tabletop games will be shown by publishers and developers attending at the show, with the full lineup of exhibitors and panels set to be revealed in two weeks. Single day badges for PAX Aus 2016, taking place November 4-6, are still available for $65. Three-day badges have sold out! Purchase online at paxaustralia.com.au. 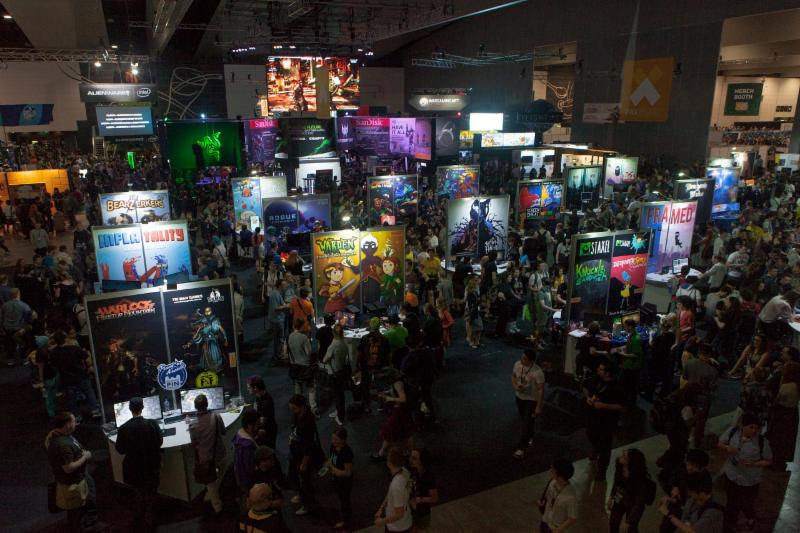 The PAX series of shows (West, East, South and Australia) comprise some of the world’s largest gaming festivals, with each event entertaining tens of thousands of guests. PAX events connect leading tabletop and video game developers directly to passionate gaming audiences, providing a space where gaming culture is celebrated through panels, demos, concerts, tournaments and freeplay sessions. PAX or Penny Arcade Expo is a festival for gamers to celebrate gaming culture. First held in Seattle in 2004, PAX has nearly doubled in size each successive year, with PAX Prime 2014 selling out of tickets in a matter of minutes. Connecting the world’s leading game publishers with their most avid and influential fans, PAX expanded with a second show in Boston in 2010 and a third in San Antonio in 2015, making it the three largest gaming shows in North America. The first international PAX was held in Melbourne, Australia in 2013. For more information on PAX, please visit http://www.paxsite.com. ReedPOP is the largest producer of pop culture events in the world, a full-service boutique team that has the backing and muscle of a major international events organization. ReedPOP runs events such as New York Comic Con, Chicago Comic & Entertainment Expo, Star Wars Celebration, Oz Comic-Con, Paris Comic Con, PAX Prime, PAX East, PAX South, Comic Con India, and more.